Dr. David Tran is a well-known interventional radiologist in San Francisco, California. He received his medical diploma from Stanford University School of Medicine in 2009. Dr. Tran completed his medical education with a residency in radiology at UCSF Medical Center and a fellowship in vascular and interventional radiology at UCSF. His subspecialties are general radiology, vascular & interventional radiology. This doctor is licensed to practice medicine in California. 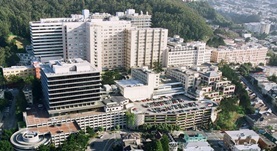 Currently, he works in a few hospitals in the area, being affiliated with UCSF Medical Center and UCSF Pediatric Oncology. In 2016, he published the article “ An 18-year retrospective study on the outcomes of keratoacanthomas with different treatment modalities at a single academic center” in collaboration with other doctors. Besides English, he can speak Spanish and Vietnamese.